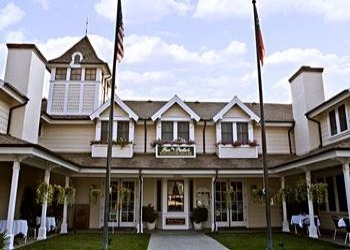 Fess Parker Wine Country Inn & Spa is located in the quaint and charming town of Los Olivos, Fess Parker Wine Country Inn & Spa provides the perfect refuge from your daily routine. With elegance and an unsurpassed attention to detail, our luxurious accommodations allow you to relax and rejuvenate while you explore the surrounding Santa Barbara Wine Country. Wine enthusiasts and couples on romantic escapes lounge by the fireplace in the Victorian hotel�s sitting room/lobby. The lamp-lit room is decorated in shades of aqua and mauve, and furnished with antiques, a piano, and brass accents. 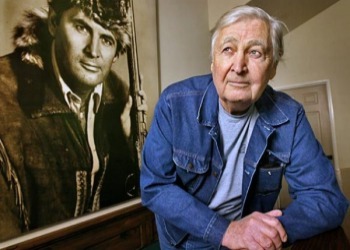 Fess Parker and his family oversee inn operations. Guests have access to complimentary mountain bikes and helmets, as well as a year-round spa tub and splash pool. Much of the art in the main building is original work by Walt Disney animator Peter Ellenshaw, who painted landscapes for Mary Poppins, Fantasia, Davy Crockett, and other popular movies. Room rates include leisurely breakfasts. Facials and massages can be arranged at the inn�s Spa Vigne, one block away. In 1988 a 42,000 square foot Ch�teau designed in the style of a 16th century French royal retreat was completed. Inside the Ch�teau were two restaurants, Le Clos and Caf� Elan, winery tours and tastings, a wine market, art gallery, meeting rooms, a fullproduction winery, aging cellars, and a temperature controlled warehouse. But, how good are the wines. 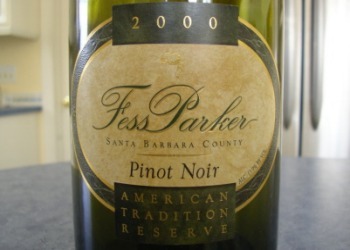 Eli Parker was named Andre Tchelistcheff Winemaker of the Year at the San Francisco International Wine Competition. 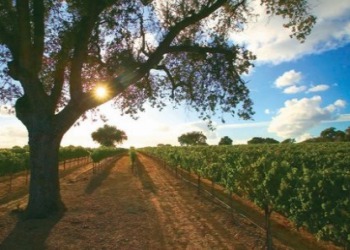 This competition is the largest and most prestigious wine competition in America. The 34 judge panel is made up of wine retailers, sommeliers, wine writers, beverage managers and other highly respected members of the wine business from all over the country.